Seat Height 785 mm to 820 mm / 30.9 in. to 32.3 in. For almost 20 years the straight-four power unit in flat, lying arrangement has been the sign of distinction of the BMW K Series. Excellent power and torque combined with a high standard of reliability and the long service life typical of a BMW are among the machine's principal fortes. Equipped with the most advanced Digital Motor Electronics ensuring superior environmental compatibility together with the fully controlled three-way catalytic converter, this drive system remains superior to this very day. K Series motorcycles featuring a four-cylinder power unit are therefore one of the cornerstones in BMW's range of motorcycles and will remain among the highlights also in future. 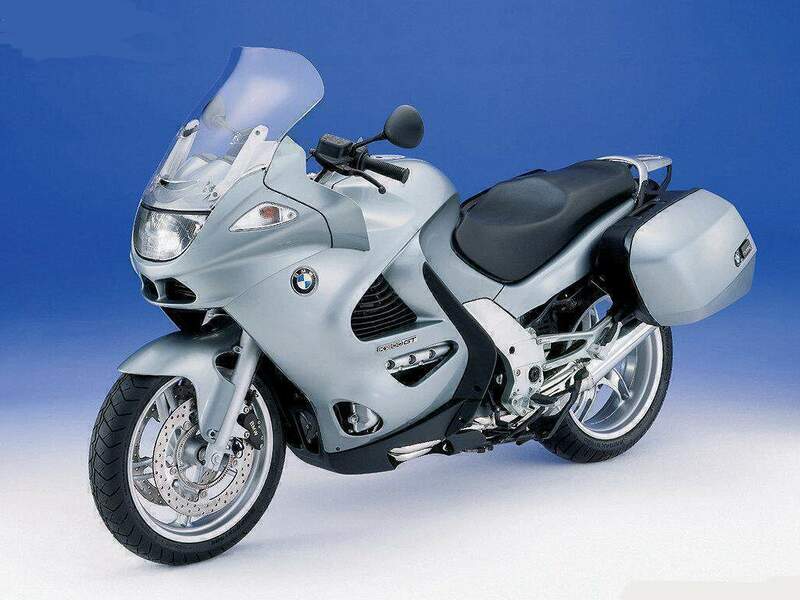 “A touring model with full fairing was included in the K Series almost from the very beginning, making its debut in the guise of the K100RT in 1984. Its successor, the K1100LT, offering a wide range of standard features and superior comfort on the road, then set the benchmark for superior motorcycle touring for a long time in the market. 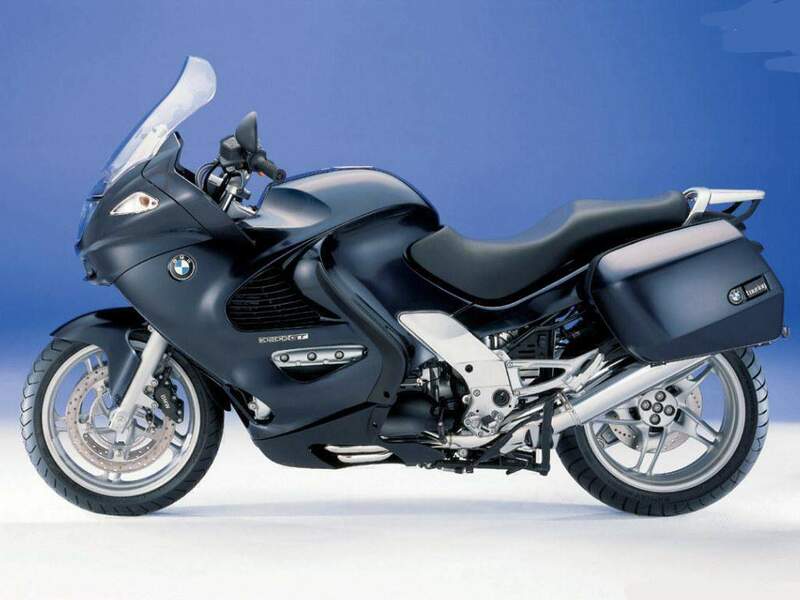 Replacing the K1100LT in spring 1999, the K1200LT offered a new interpretation of motorcycle touring: With a clear focus on supreme luxury, comfort and a very wide range of standard features, the new machine entered new dimensions and was quite appropriately lauded as the “7 Series” in the tourer segment setting new standards in comfort and luxury, as well as agility in its class. Now BMW Motorrad offers a new alternative for the motorcyclist who does not attach such great significance to supreme luxury, but nevertheless does not wish to forego the good protection offered by a tourer from wind and weather as well as that truly comfortable, upright seating position: the new K1200GT. “Derived from the K1200RS, this version of BMW's successful sports tourer places the emphasis on touring. This is a motorcycle for the rider wishing to combine maximum agility and dynamic performance with superior touring qualities also on a long trip. The “GT” model designation stands for Gran Tourismo and is the synonym for refined sporting performance combined with superior touring comfort for both rider and passenger. “Technical highlights K1200GT: Carrying over the drivetrain and running gear.The K1200GT is based on the ultra-modern, proven technology of the K1200RS. The drivetrain has been carried over in full, the power unit is the high-performance version of the 1,200cc engine developing maximum output of 130 bhp. And as an option the engine is also available in some countries including Germany with maximum output of [only] 98 bhp. To adjust to exhaust emission standards of the future the oxygen sensor, catalyst surface coating and engine management on the four-cylinder have all been modified, reducing emissions to an even lower level.The running gear also comes from the K1200RS, again without any modifications. The unique BMW front-wheel Telelever and the BMW Paralever on the shaft-drive rear wheel ensure excellent motoring comfort offering both sports performance and the high standard of an upmarket tourer. Spring travel is the same as on the K1200RS. The rear wheel, finally, measures 5.5 inches and runs on a wide size 180 tire. 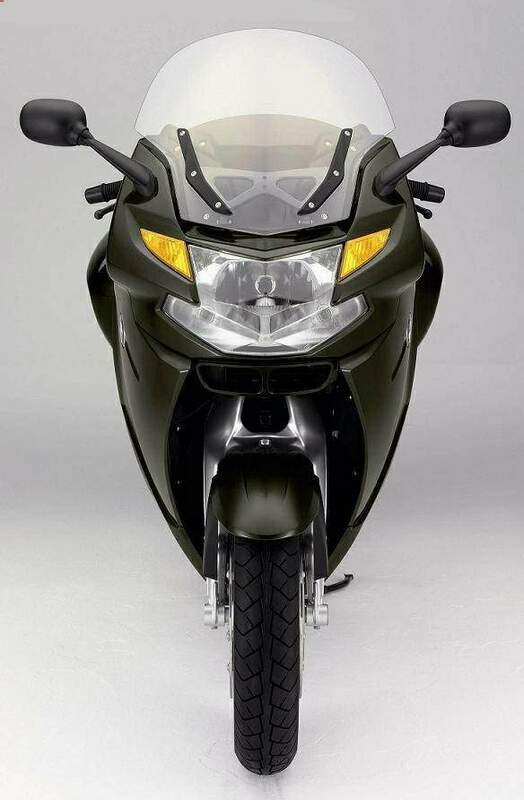 “Body: Modified fairing now featuring an electrically adjustable windshield. The fairing carried over in its principal features from the K1200RS offers a number of innovations: To give the rider better protection in wind and weather, the fairing comes with a wider profile at the bottom directing the flow of air even more effectively around the rider's legs. On all models regardless of color, this profile section is finished in black. Two striking features are the hand protectors finished in body color and the new, higher windshield with electrical adjustment. This infinite power adjustment of the windshield meets the need for precise, customised windshield adjustment, catering for all kinds of riders different in size and in their personal preferences. Apart from functional benefits, these modifications also give the K1200RS a new, distinctive look. “Comfortable seats and high-rise handlebar for relaxed touring. The comfort handlebar has been restyled to provide a particularly relaxed, touring-oriented seating position. 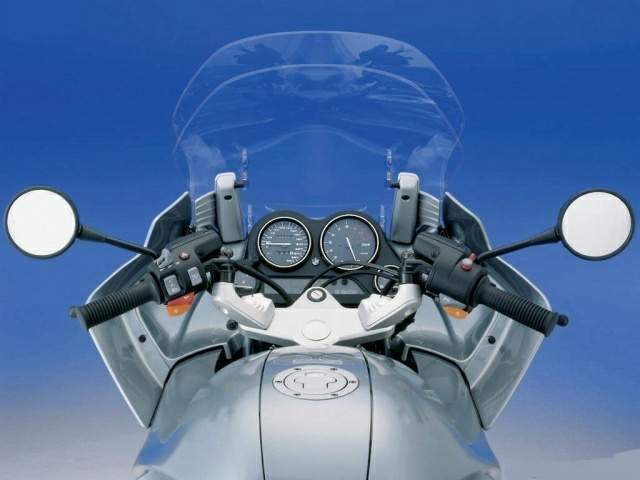 The handlebar is slightly higher and angled differently than on the K1200RS, reducing forces on the rider's wrists and allowing a more upright seating position. The new comfort seats, in turn, offer the same height adjustment as on the K1200RS and can be set to a height of either 31.1" or 32.3". “BMW Integral ABS featured as standard in its partly integrated version. Integral ABS in its partly integrated version is standard on the new K1200GT. “Partly integrated” means that the brakes are activated on the front and rear wheel when the rider squeezes the hand brake lever. The foot brake, in turn, acts as usual only on the rear wheel. Otherwise the brake system is the same as on the K1200RS, ie. with the EVO brake on the front wheel offering excellent brake power. Fitted as standard with a luggage rack plus cases with covers finished in body color. The luggage rack and cases complete with supports are standard on the K1200GT. Finished in body color, the covers on top of the cases give the motorcycle an even more sophisticated and refined look. “Two colors and white direction indicators. 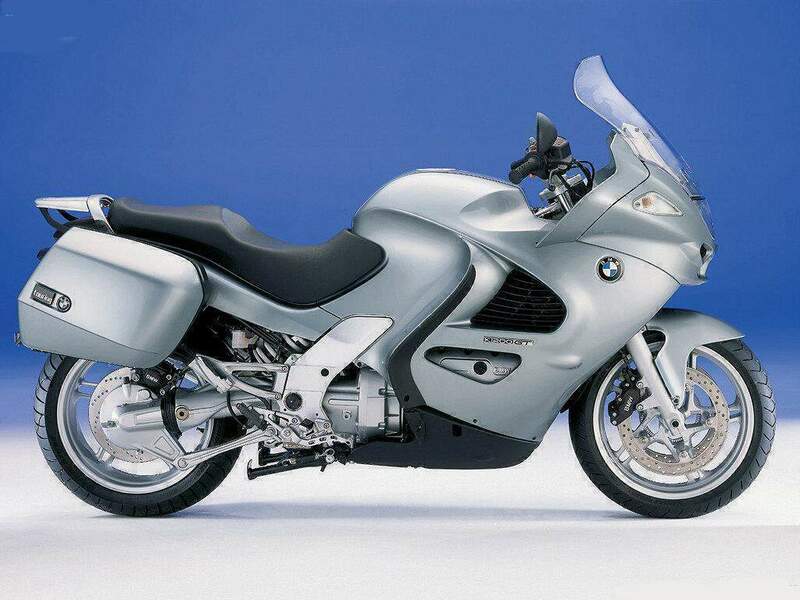 The K1200GT comes with a choice of two colors: Orient Blue Metallic and Grey Green Metallic. In each case the seat is black. White direction indicators front and rear add an elegant touch to these attractive colors.